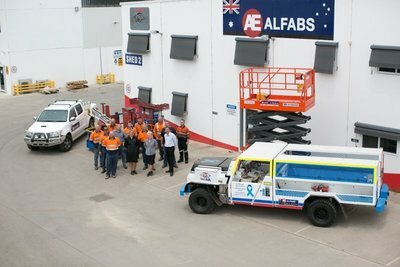 The Alfabs Group has a fleet of over 500 pieces of hire equipment including Elevated Work Platforms (EWP’s or Access Equipment), Materials Handling Equipment such as Forklifts and Telehandlers along with a wide variety of Underground Mining Equipment such as QDS equipment, secondary support and materials handling and Poo Pod toilets. Managed by our dedicated Hire Coordinator and supported by our team including dedicated Document and Logistics Coordinators plus a sales team, you will receive the highest quality equipment back up by a service that is second to none. Alfabs Group keep all necessary spares and have service technicians on hand to ensure our equipment is backed with the support necessary to keep your project moving. With our “One Stop Shop” solution and “Quality On Time” in mind our hire equipment combined with our engineering, protective coatings, mining, transport, rail and onsite services business units makes an unbeatable team.